The Green Swamp - Should Hunting Be Allowed Here? 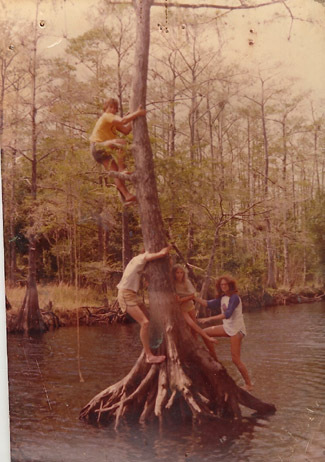 Reflections on the "Real Florida"
FNPS members recently received my letter describing childhood adventures in South Florida's outdoors – memorable experiences made possible thanks to preserved lands and my parents' initiative. I dug up some photos of these family trips to share with you. The quality of these photos is not the greatest - they were scanned from prints - but many readers probably have photos like these (maybe even older!) and can relate to a time without cell phones, the Internet or cable television. 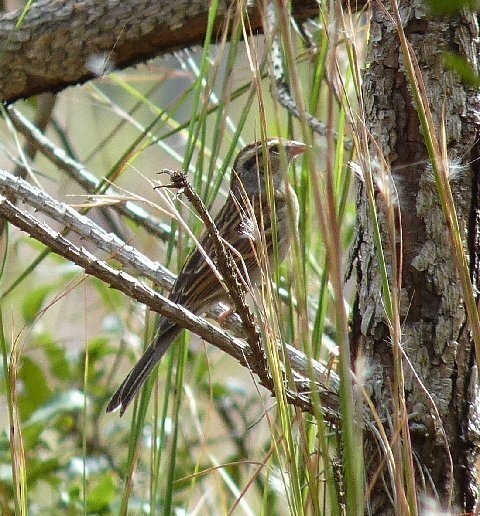 At this time of year, we are grateful for our families, and also organizations like FNPS, which works every day, through grassroots volunteer members, to preserve, conserve and restore the native plants and native plant communities of Florida. As I said in my letter, my childhood experiences led me to being part of FNPS, because I believed in the mission before I even knew there was an FNPS. 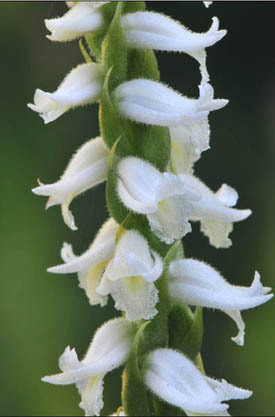 There are eighteen species of Spiranthes native to Florida, along with two varieties of one species, and three intergeneric, naturally-occurring hybrids involving five different species. All are known as ladies’-tresses because of the spiraling habit of the flowers up the stem, which superficially resembles braided hair. One of my favorite members of this genus is the fragrant ladies’-tresses (Spiranthes odorata) and this past Wednesday (11/16) I encountered a flowering colony of them in the flooded prairies of Everglades National Park, where I’ve seen them each Fall over the past two decades. 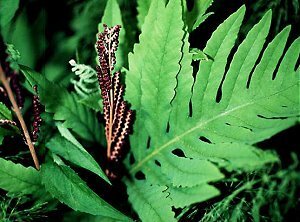 The species name, odorata, refers to the intensely fragrant flowers, so it’s very worthwhile to get your feet wet to get a whiff of the perfume that emanates from the flowers. It’s quite intoxicating. We will be visiting Florida in mid-December on a plant collecting fieldtrip. 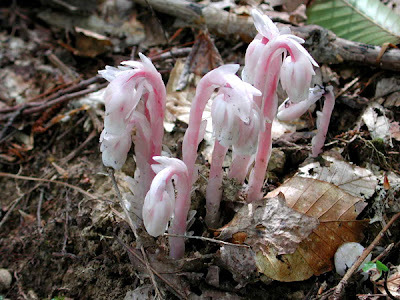 We are specifically looking for Indian Pipes (Monotropa uniflora), the white form and particularly the pink to dark-pink forms. This research is part of a worldwide study on the monotropoid group of plants. If any of your members could supply information on locations where we might find these we would be most grateful! We have found that local knowledge can be crucial to successfully locating monotropoids. You can contact us at broe.1@osu.edu. The Naples FNPS Chapter knows how to attract new members! This account is by Karyn Allman, membership chair, and Philip Tadman, The Coontie Man. 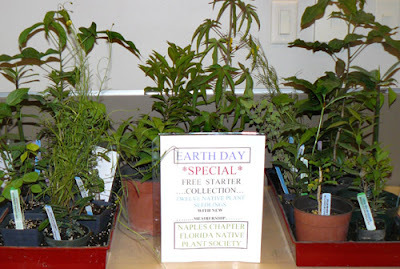 Last year the Naples Chapter, with the gracious help of native plant grower and FNPS member Philip Tadman, gave away small nursery trays with 11 native seedlings as an incentive to join the plant society at an Earth Day festival. During the event, we gained three new members, and all three greatly enjoyed their new native plants. 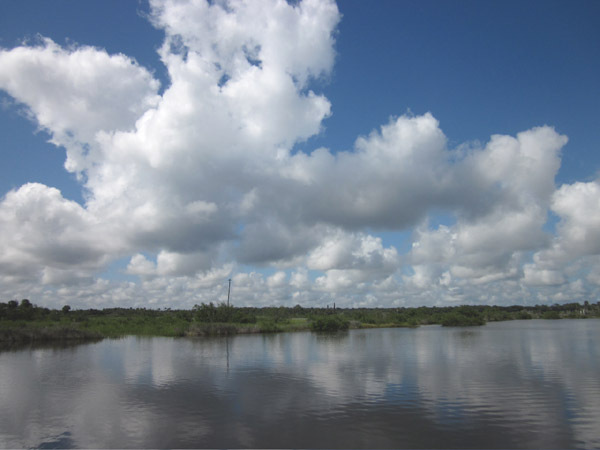 Hoorahs and congratulations are in order for/to Mark Wheeler and the PawPaw Chapter for offering an eco-tour (Sept 24) to see and learn about the Salt Marsh Restoration/Reclamation Project at Gamble Rogers State Recreation Area (Flagler County) and the North Peninsula State Park (Volusia County). Wheeler coordinated with Barbara Roberts, park manager, and Paul Haydt, St. Johns River Water Management District, the project coordinator, to pull off a great morning-- even keeping the 60% chance of thunderstorms away! Over forty people from as far away as Jacksonville (Ixia) and Martin County (Cocoplum) responded, filling the pontoon boat run by the International Marine Ecological Research Solutions. What a great vessel, perfect for looking, learning and keeping the sun off our heads. Paul Haydt explained the work of reclamation and restoration and then we saw it for ourselves.